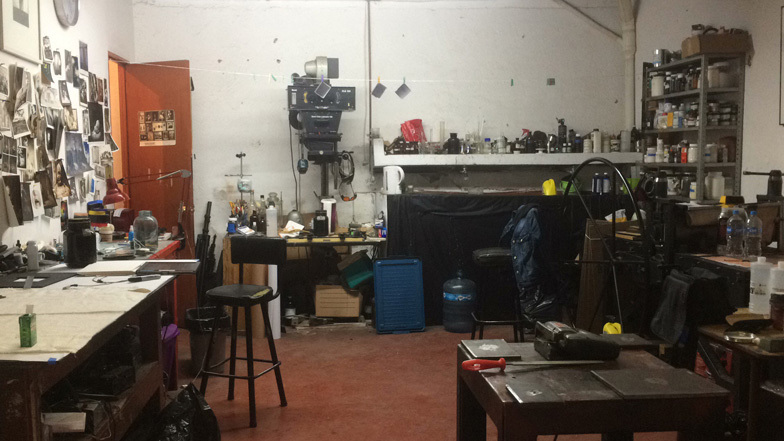 Collaborating with the Panoptic Workshop of Mexico for a few intense days of daguerreotype. 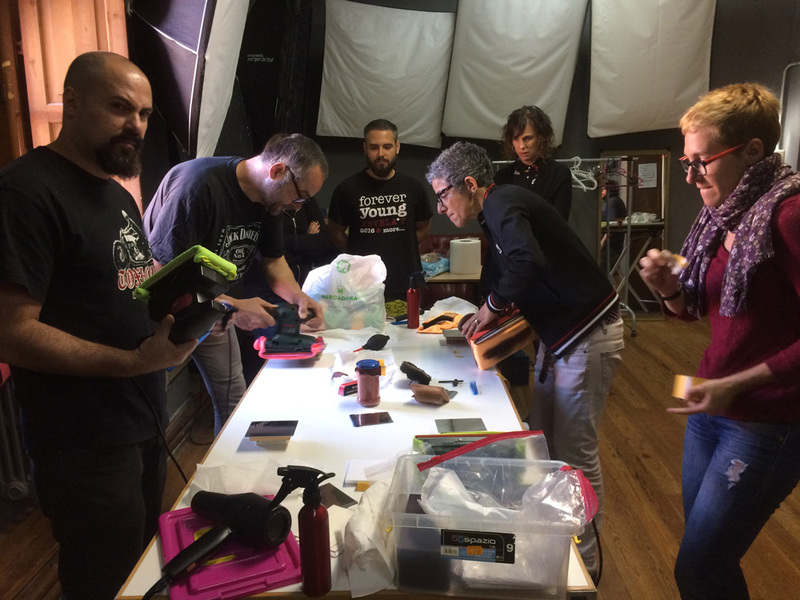 Several mercury daguerreotype workshops in CDMX and Puebla. A collaboration with the University of Seville. 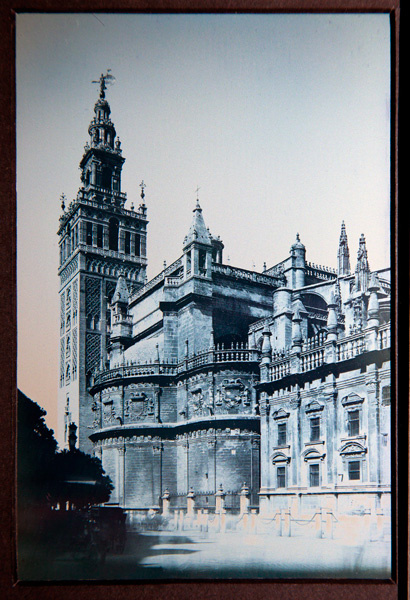 Luis Mendez hired us to make some Daguerrean views of Seville. 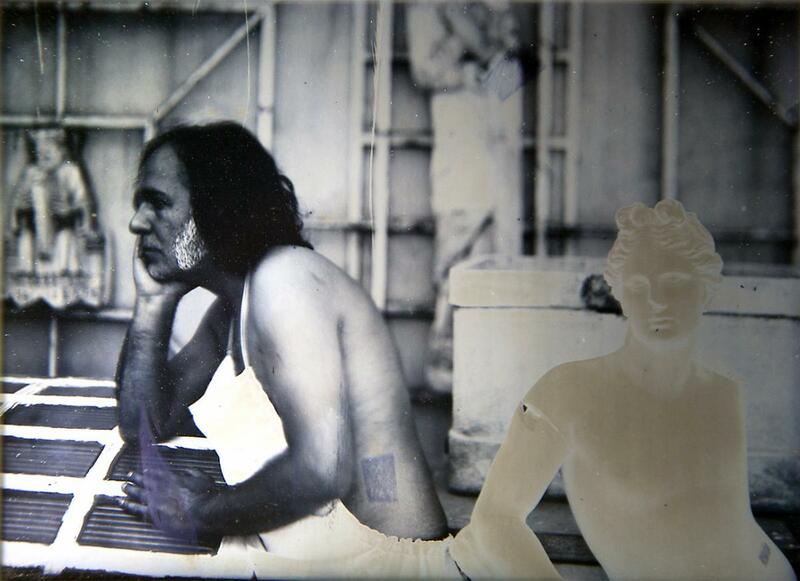 Copies on albumen paper, matt and classic, from digital negatives. A very intense and rich workshop! Proactive students! Thanks again to the Higher School of Conservation and Restoration of Cultural Properties for having given us different spaces and to have been so attentive !! To know from the practice the printing of digital negatives on albumen paper. Experiment with hybrid photography where we will combine the practicality of digital photography with the highly handcrafted side of 19th century photography. Provide digital photography with the added value of quality craftsmanship. Promote and encourage interdisciplinary work among restorers, scientists, historians and photographers around the technology and photographic procedures of the nineteenth century. Hours: 3:30 - 8:30 p.m. 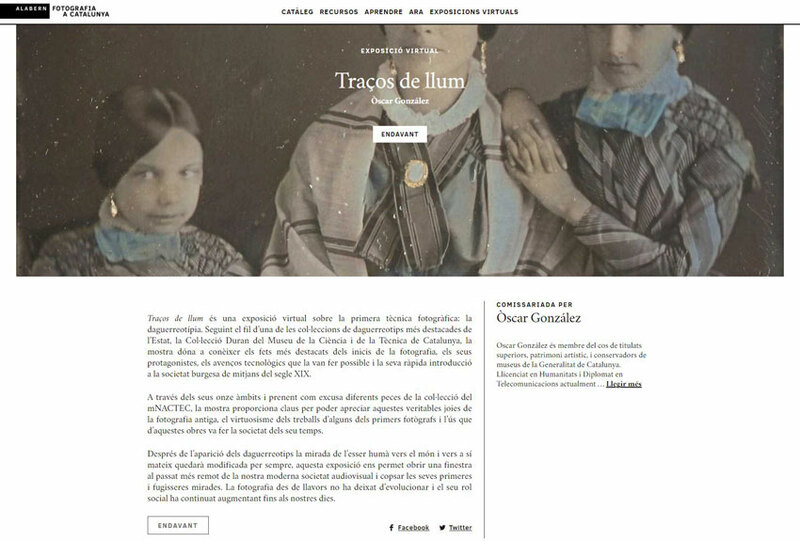 Participation in the first virtual exhibition of the new center FOTOGRAFÍA A CATALUÑA in collaboration with the MNACTEC: “TRAÇOS DE LLUM”, curated by Oscar Gonzalez. We participate in the first exhibition of the portal "FOTOGRAFÁ A CATALUÑA" which, according to its protagonists, intended to be the cornerstone of a future center or perhaps museum of photography of Catalunya. "TRAÇOS DE LLUM" is a virtual exhibition about the first photographic technique: the daguerreotype. Following the thread of one of the most outstanding collections of daguerreotypes of the spanish state, DURAN COLLECTION of the mNACTEC, the exhibition unveils the highlights of the early photography, its protagonists, the technological advances that made it possible and its rapid introduction into the bourgeois society of the mid-nineteenth century. Oscar Gonzalez is currently in charge of the Area of Conservation of the Museum of Science and Technology of Catalonia, the mNACTEC. Oscar Gonzalez and Angela Gallego Lopez (conservation and restauration of photographs) contacted with the Taller Daguerrotipo to collaborate during the development of the project of exhibition and commemoration organised by the mNACTEC : live recreation of the first photograph made in Spain, video of presentation of the process chosen for the project, the Daguerreotype Becquerel, and contemporary daguerreotypes of Simone Choulle exhibits on the online " TRAÇOS DE LLUM. 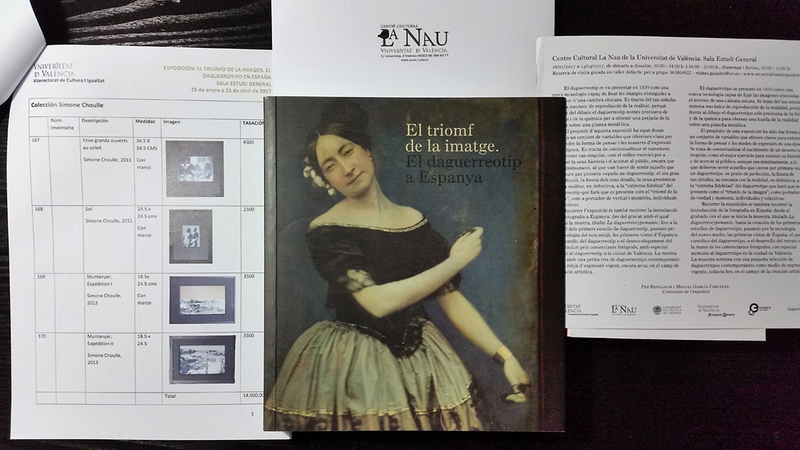 "We currently have joined 15 collections from 6 institutions that had their funds digitalized already, 73 photographers, including several contemporary photographers, more than 1,600 photographs and over 300 online resources to learn Catalan photographic heritage." 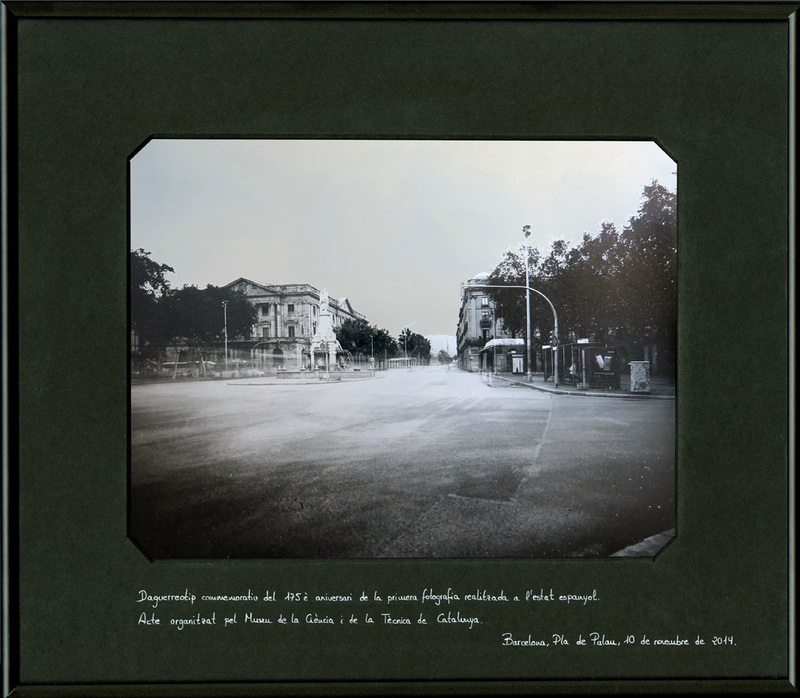 Involved in the project: Archivo Fotográfico de Barcelona , Archivo Nacional de Cataluña, Biblioteca de Cataluña, Museo de la Ciencia y la Técnica de Cataluña (mNACTEC ), Museo de Arte Contemporáneo de Barcelona (MACBA ), Museo Nacional de Arte de Cataluña (MNAC). 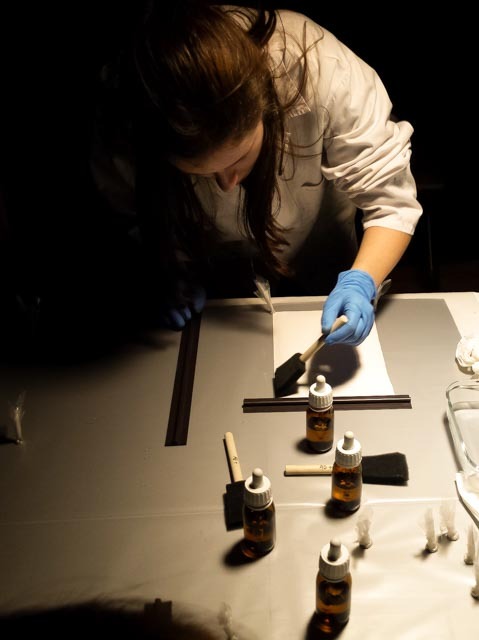 New collaboration with ESCRBC, this time with a daguerreotype workshop with Becquerel Method. David Gomez Lozano, vice-director of the school was the coordinator of the workshop. He opened generously to the participants the access at different spaces, materials and equipments. It was a very complete collaboration where Paloma, school chemist, made a demonstration of silver electroplating. 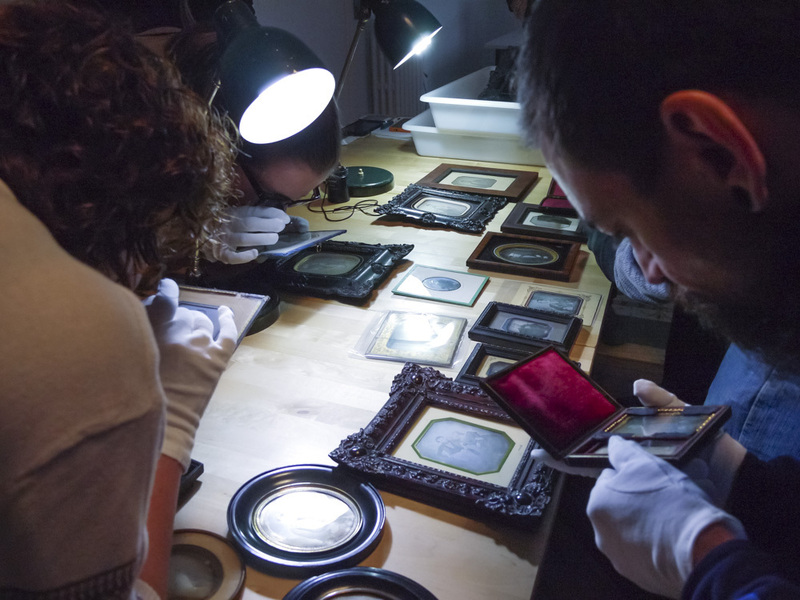 And we also had a conference/demonstration about daguerreotype preservation by Clara M. Prieto, conservator and restorator. And we end with a demonstration of daguerreotype developped with mercury: the original way from Daguerre and the accelerated version with bromine. Some samples of the plates made by the participants, GOOD WORK! MUSEU DE LA CIÈNCIA I DE LA TÈCNICA DE CATALUNYA The Museum of Science and Technology of Catalonia and the conservator Angela Gallego charged us the recreation of the first Spanish daguerreotype realized in November 10, 1839, Pla de Palau in Barcelona. 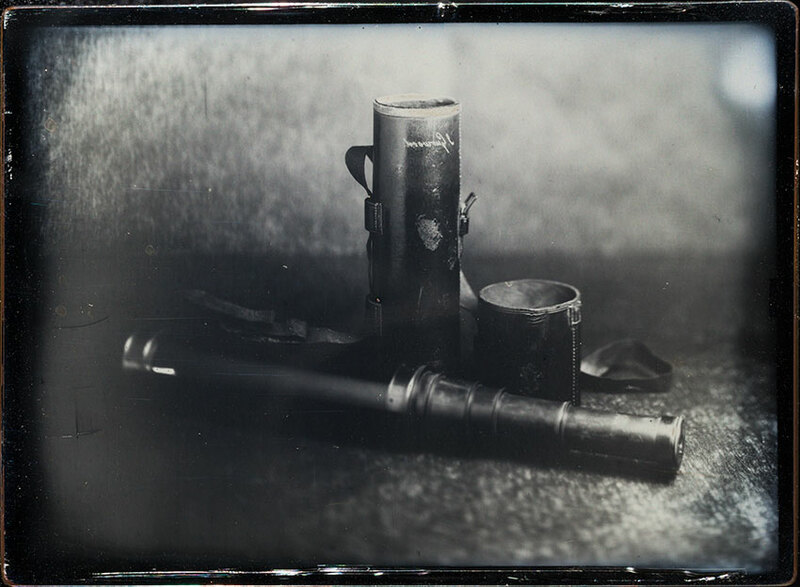 November 10, 2014, at noon, we made four daguerreotypes two 20x25cm and 2 9x12 cm. The Museum has kept two and one of them was drawn and won by Escola Brianxa Tordera ESO 4t class. 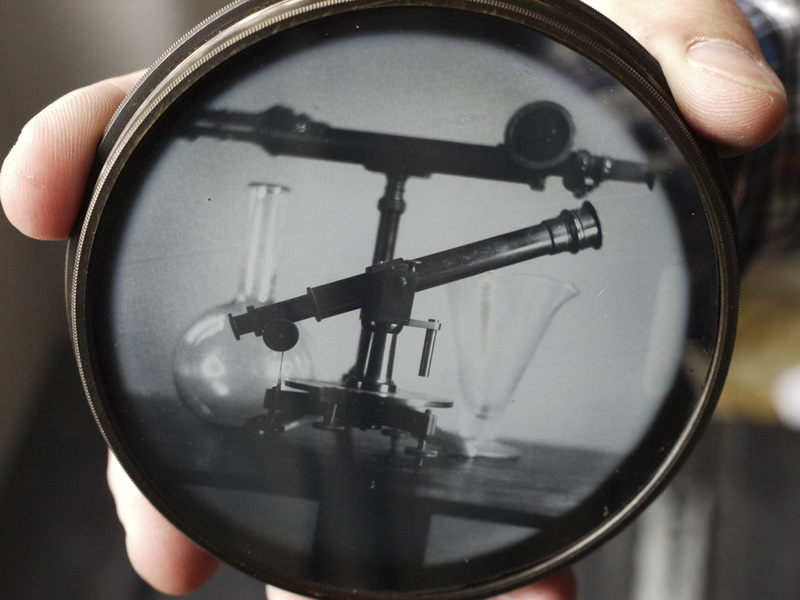 For small plates, we worked with a collodion camera and a Petzval lens, Museum properties. For large ones, we chose an old Burke and James with a Schneider Grand Angulon. You can download the press kit. We are very happy to have participated to The Expert Modules/Advanced Studio Photography, part of the European Master of Professional Photography Program of Spéos, Paris London Photographic Institute in Paris. Thanks to all the participants, it was a great pleasure to collaborate with you all during this module. Lots of work and great results, this team was a blast ! Program elaboration : Pascale Maigre (profesional photo-stylist), Hélène Védrenne and Spéos. Evgeny Avrorin, Djinane Alsuwayeh, Cecilia Colussi, Serena De Mastri, Leon Fernando, Azimah Mohd Zain, Patrick Rivera, XinYuan Shao, Olesya Shilkina, Polina Ulyanova, Juliette Van Haren, Wilfried Vanié, Xiaofeng Wang, Isabelle Whittaker. Mod'Art : fashion design and management school. Esmod Paris : fashion design and business school. Marie Marquet : personal brand Minimi. Pascale Thiebot : profesional retoucher. 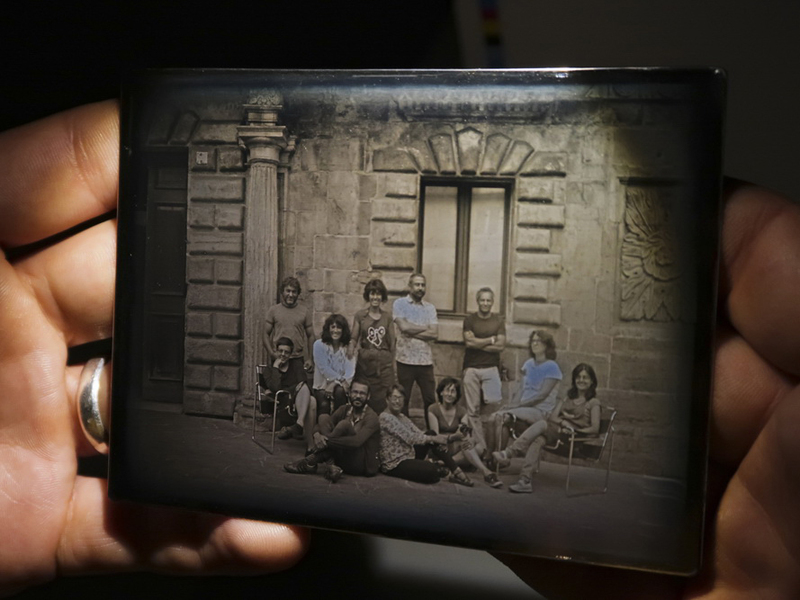 Daguerreotype workshop: 3 daguerreian days in Paris with 7 students from Speos. 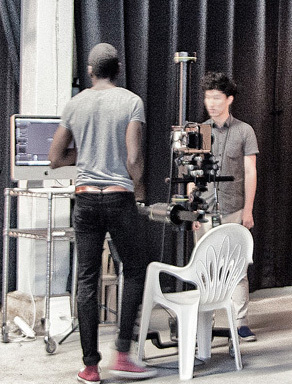 We made 2 circulars daguerreotypes in Atelier Petzval space with a replica of the Voigtlander Canon.